Any minute now – in fact almost certainly by the time you read this – the summer holidays will have broken out around here – hooray! It’s been a tough old year one way or another and I’m sure we’re not the only family relieved to have a few weeks away from the usual routine. For most of the year, I do the main part of my reading at bedtime, but during the holidays, I feel no guilt whatsoever about reading whenever I like, so I’ve started putting together my reading list for July & August. In recent years, I’ve become increasingly interested in all things Celtic, and I keep coming across names and stories that I know nothing about. Ironic isn’t it, that I could certainly tell you much more about the Ancient Greek gods and heroes, than anything about those of our native countries. When I saw this book last week, it practically screamed at me from the shelf, to buy it. And I’m so pleased that I did – it’s a lovely ‘beginner’s guide’ – complete with pictures and – get this – a guide to pronunciation! And it’s timely too. In September, the British Museum is opening a new exhibition featuring Celtic art and identity – I’ve booked my ticket already! 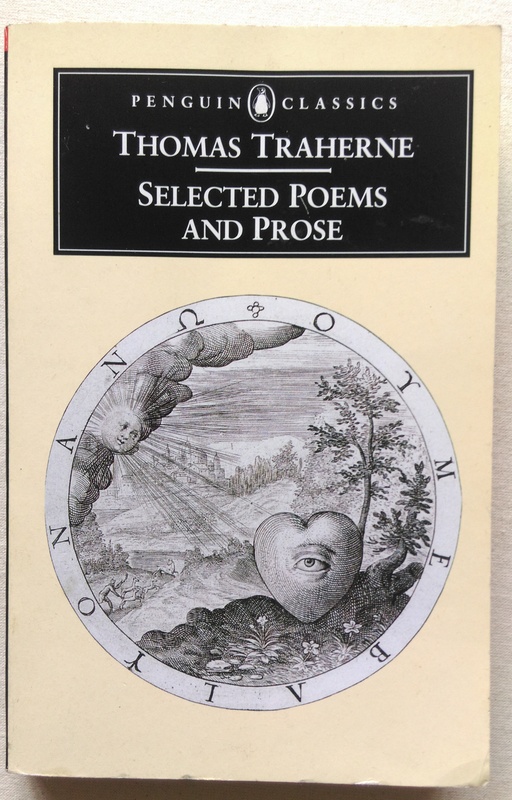 Thomas Traherne: Selected Poems & Prose – Penguin Classic. I have Phil Rickman to thank for introducing me to Thomas Traherne. References to Traherne crop up in several of his brilliant Merrily Watkins novels and it took me some time to find any of Treherne’s works in print. Then, on a day when I wasn’t particularly looking for it, there it was, on the shelf of the Oxfam bookshop in Berkhamsted – definitely there waiting just for me. If you like William Blake’s work, Treherne might be for you too. Now, this is a book I intend to consume in small amounts, it is so beautifully written and the mental imagery so rich, that it would be a shame to read it too fast. It’s like a fine wine that deserves to be savoured. I downloaded a sample onto my Kindle, but although I knew straightaway I wanted to read it, I felt sure I needed a hard copy. Fortunately, when I visited Toppings in Ely last week, (possibly the best bookshop outside Hay that I know), I found one to bring home with me. Paul Evans is on Twitter if you want to find him there. 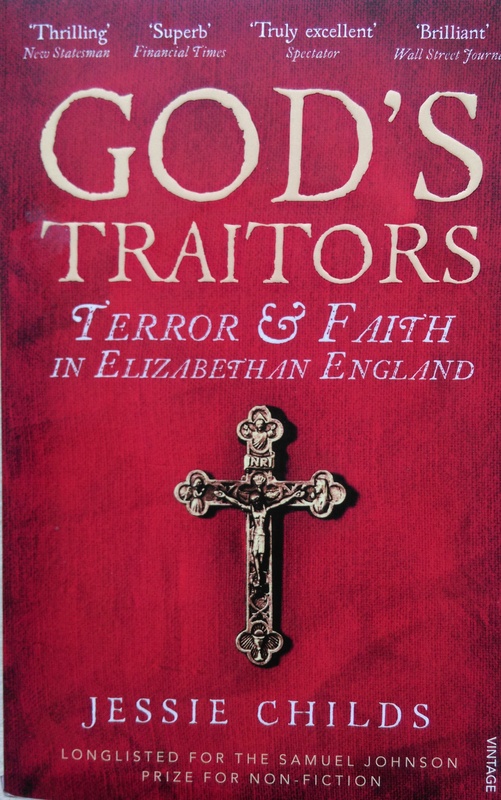 God’s Traitors: Terror & Faith in Elizabethan England – Jessie Childs. I’ve actually been reading this for a while now, but things have been so busy around here lately that instead of reading at bedtime, I’ve been crashing out as soon as my head hit the pillows. But I am delighted that Jessie has written this book. Having been brought up in the West Midlands, right in the heart of Elizabethan recusant territory, and on the doorstep of Harvington Hall, one of the existing Elizabethan houses where you can still see numerous priest’s hiding-holes, I was excited to finally hear more of the story of that period in English history. For anyone familiar with the area and the many houses linked to Catholic recusancy, it’s wonderful to have a whole book describing events, and not be confined to a few footnotes. Have you read any of these? Do let me know what you thought of them, or tell me what delights you’re planning to read over the hopefully long, hot summer. All look delightful, Anny, especially ‘Field Notes from the Edge’, which I will look up. I am presently reading Robert Macfarlane’s ‘The Old Ways’ which has taken me ages to get around to, but it’s one of those books that I know I will treasure forever. Oh, I would love to see the Celtic exhibition too! I have seen some of the news about it. 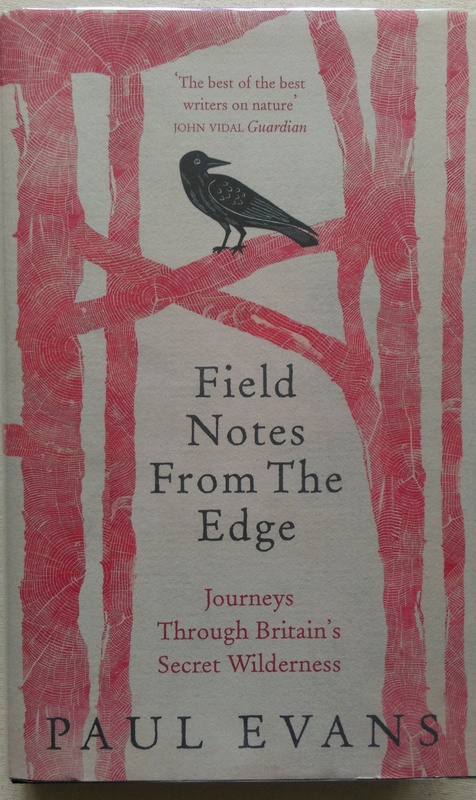 If you enjoy Robert Macfarlane’s books, you will definitely like Field Notes, I’m quite certain. I’m very excited about the Celts exhibition, the more I learn, the more fascinating I find them – I think I was brought up before much was really understood, or perhaps they just have more people interested in them now. The exhibition is moving to Edinburgh next year, I’m not sure when, so if you can wait it will be coming closer to you! Yes, it’s odd that we know relatively little of the Celtic myths, when we know so much of the Greeks and the Romans – and even the Egyptians. I think I’ll be taking that as a suggestion for my own reading – thank you! 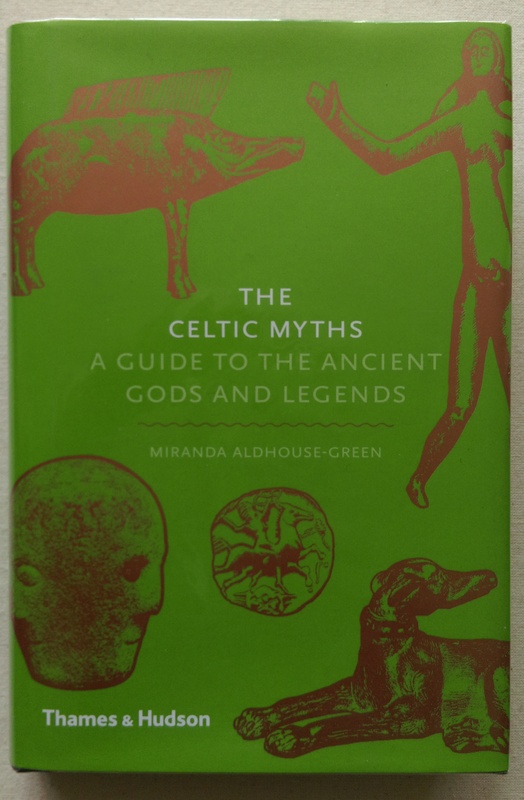 You’re welcome 🙂 Some of the other books I’ve looked at on Celts, seem to assume quite a high level of prior awareness, which is why I liked this one so much, it really is for the previously uninitiated! Field Notes is on my list too. I swear that when it comes to books you and I are kindred spirits, all these titles I’ve either already read or they’re of interest to me. My blog has taken quite a bookish turn of late. Funnily enough, I always enjoy your bookish posts, so you may well be right! If you haven’t already found Jo Woolf at http://the-hazel-tree.com, I think you might well feel a similar affinity with her choices too. I too have Jonathan Strange and Mr. Norrell lined up. I’m not usually into magic but the tv series was such a wonderful production I just had to buy the book. Also waiting for me to get going with it is The Bone Clocks by David Mitchell. I just need to allow reading time during the day; night reading in bed is always a failure! Ooh, now then Stephanie, I’ve just looked up The Bone Clocks and I think I may well have to add that to my list too. I never used to have a problem with bedtime reading, but lately, I’m just dead to the world so fast – I hope it’s just a phase! Thanks Kathy 🙂 Did you know that one of the Merrily books has been filmed and I think it’s going to be on itv sometime this autumn. I’m not sure it’ll live up to the books, but I’ll look out for it anyway. Oooh that will be worth watching, they are such delightful books, in fact I must look one out, haven’t read any for a while. I have mixed feelings about it. If it works it will be terrific, but there’s a lot happening in the imagination in those books, and it will be interesting to see how well the producers carry it off. Thanks for the heads up on the Celtic art exhibition, will definitely work that in on my next visit to the London-based offspring. The book looks interesting too and I have often wondered why we learn about other countries’ mythologies and not our own. Do you think it coud be a language thing; we learn classical Greek and Latin, but probably much Celtic mythology is recorded in old forms of Welsh,Gaelic, Cornish or whatever so it takes a specialist to translate it? It’s a good question, I tend to agree with you, I wonder if there are simply more people around now who want and are able, to read the variety of sources for the Celtic myths, but I hope they will become more widely appreciated and then perhaps we’ll begin to see how they have influenced us over the centuries.